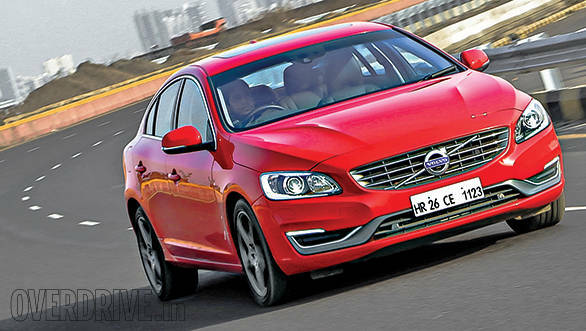 The first S60 that I drove was the fabulous petrol-engined T6 and I absolutely loved it. But that had more to do with the fact that I had 305PS to play with on the brand new BIC than anything else. When I later had a chance to drive the more sedate D3 it still impressed with a torquey diesel engine and striking good looks. Today the D3 is no longer with us and we have the Volvo S60 D4. The S60 was always quite the looker in a rugged sort of way and it is easily distinguished from the competition. While the old car still looks appealing, that could also be due to the fact that we see so few of them on the roads that it's still a fresh design in our minds. The face lift brings a new bonnet with two neat ribs that now bend towards the A pillar. The headlamps are now one single unit on each side of the car, compared to the outgoing design which featured a set of separate vertical LED units on either side of the grill. The grill itself is the same but features a slightly larger logo in the centre. The front bumper is an all new design and now houses the great looking horizontal LEDs. Overall the face now looks like it has been polished but also loses some of its rugged charm. At one point of time you had three engine options(D3, D5 and T6 ) for the S60 but that has now been reduced to just two diesels - the D4, which we drove and the D5 which is a higher output version of the same five cylinder engine. The brilliant T6 petrol has seen very few sales over the years failing to capture the hearts of the adrenalin junkies in the country and so has been axed from the lineup. The D3 diesel has now been re-badged as the D4. The 1984cc mill makes 165PS at 3500rpm and 400Nm of torque between 1500 and 2750rpm. It loves to cruise at a relaxed pace and the set up of the gearbox also encourages you to drive smoothly. Launching it from a stand still will have you frustrated as it picks up slowly but that's more to do with the tuning of the gearbox in favour of a smooth getaway rather than a lack of spur from the engine and is the reason for the sluggish 0-100kmph sprint timing. It's a refined mill too and for a diesel, has quite a pleasing note to it when run hard. 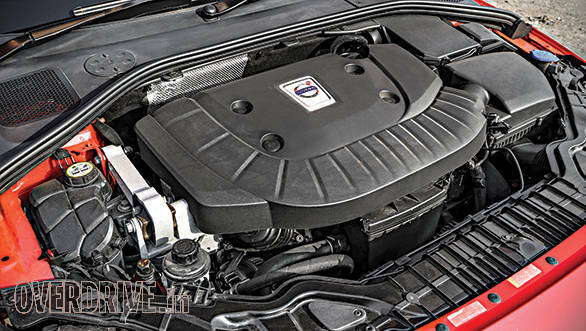 While the engine encourages you to be smooth and gentle with it, the handling edges you to push to the limit. The suspension is set to the sporty side of firm and the weighty steering gives you a decent amount of feedback. With power going to the front wheels instantly, there is a fair amount of torque steer every time you floor the pedal. This is at the expense of comfort though and the ride is stiff and juddery. On smooth roads this car is brilliant but over long, rough patches it can get uncomfortable forcing you to reduce your pace considerably. With just a face lift and a change of badging, the S60 D4 was never going to set the entry level luxury market on fire. The new look may be not be as extreme as the outgoing model but is still radical enough to appeal to those who like to stand out. With the number of heads we turned while we tested it, we can't disagree with that rationale.